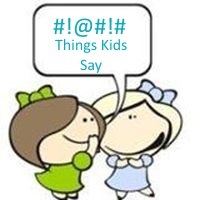 I am happy to announce the launch of Things Kids Say, a personal project that is a collection of the funny things kids say posted all in one place. It feels like I’ve been been working on this project forever. Well, I have been collecting the funny things my daughter says for years (although now that she’s a teenager she’s isn’t nearly as funny as she used to be).